Who's been saying that? To me it all looks like good work. Edited by the_samkingdon15, 16 November 2013 - 11:15 PM. cheers mate.. I really appreciate it.. I'm just doing my own thing, who cares what other people think? It's not their car! Edited by HarrysMini, 17 November 2013 - 04:46 PM. Mm the legal part isn't to much of a biggie I was 13 when I first started using a grinder and them started welding a few months later hahahah i think it only matters if you have an accident but people still play GTA under age right ? Iirc his car is in his parents garage (e.g a car garage people put their cars in) so presumeably health and safety will restrict what he can do. looks like your doing pretty decent work to me, I always have 2-3 rebuilds going at once doing all the work myself, and im a mechanic on top of that. I cant see anything that would be called wrong. no problem... some times I get in over my head this summer I built a 500hp engine for my Camaro, did a substantial amount of work on a friends corvette engine, started to restore a small chevy pickup while doing a v8 swap in it plus scouting for a classic mini to restore. all while working 50-60 hours a week!!! I hardly know what sleep is now LOL and all I found was a rally convert 70 mini that is complete garbage non salvageable and the guy wants $5000 for !!! I think I can import one from England for that kind of money!!! Been a while since I have updated, so a brief summary of work so far. The front came off easily. Sort of. I forgot to undo the steering rack and wondered why it didn’t drop eventually I realized and he came off easily. 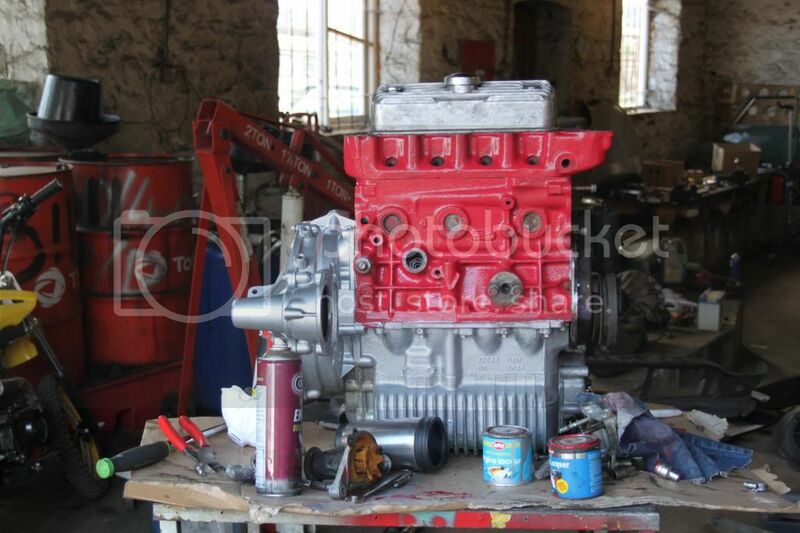 My engine had a half rebuild (dropped off gearbox from block, cleaned and rebuilt) and has been painted. 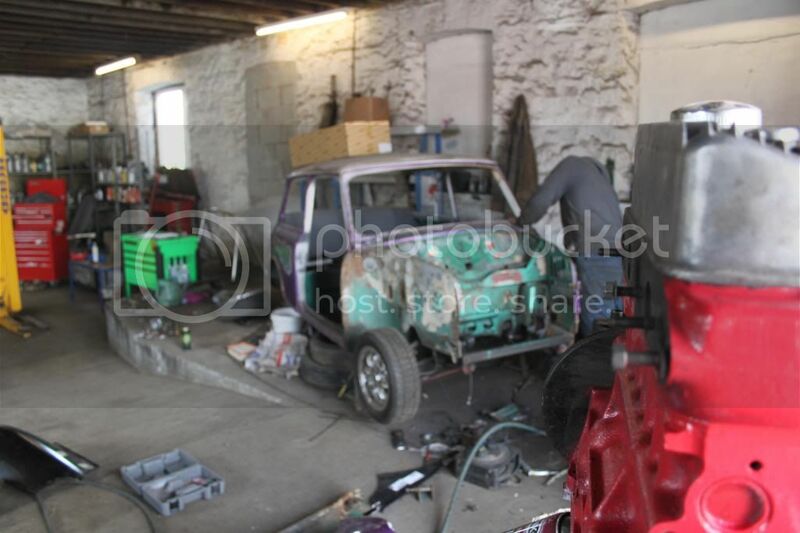 So ralph is now just a shell with no front end and lots of rust..